In 1942, the Rev. C.C. 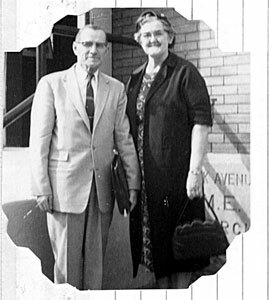 Lowe was pastor of the Oblong circuit of six Methodist churches – Leeper, Stoy and Seed Chapel churches were south of state Route 33, and Dogwood, Prairie and Kirk Chapel churches were north of the highway. All were one-room buildings without indoor plumbing or running water. My family attended services at Dogwood Church. The area near our home included Dogwood School, Dogwood Grange and Dogwood Creek, which ran through the community of pastures, woods, hills and hollers like a snake, feeding the many dogwood trees along the way. Rev. Lowe was a powerful preacher and a hard worker. He and his wife, Agnes, had six children, and their three sons were all drafted into the U.S. Army soon after the bombing of Pearl Harbor. With three sons at war, Rev. Lowe felt the call to enlist as a chaplain. After being accepted, he was assigned to Harvard College for special training. I was 7 when he joined the military. The Sunday before he left, he wore his dress uniform to church. He preached not as a circuit-riding preacher but as a chaplain in the U.S. Army. I had never been so close to a real soldier, and I remember feeling a great deal of pride and admiration for him. In his absence, the church conference asked Mrs. Lowe to fill the leadership role, and she willingly accepted. The following June, she was assigned to a smaller charge with only three churches – Willow Hill, Mound and Yale – all in nearby Jasper County. 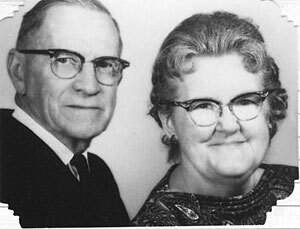 Sometimes, when the Lowe children were asked about their parents, they would joke, “Father is at Harvard and Mother is at Yale.” Rev. Lowe served both in the States and abroad until the war’s end. Dogwood Church was built in 1907-08. It has been expanded a couple of times and a separate parsonage and fellowship hall were added. In 2002, Dogwood and Prairie churches combined to be come Dogwood Prairie UMC. My wife, Sherry, and I have attended services in this building since the ages of 3 and 4, respectively. We have welcomed many different pastors, cried when some of them left and prayed for all of them. We always remember that a rural community church is a very vital element to one’s life, both spiritually and socially, with the extra blessing of everyone knowing one another.